A few days ago, I had dinner at Corrigan’s restaurant in Mayfair. A fantastic place run by Richard Corrigan – a fun, outspoken Irishman who knows his food. I was there to meet Nadim Sadek, the owner of Inish Turk Beg – a quiet little island off the West coast of Ireland. I was assigned my seat at the foot of the table which felt strange, but luckily all the talk was happening at the other end where all eyes were on Nadim as he told his story of making his millions, leaving his business and buying a rundown island almost on a whim after deciding that it was important for his children to be more connected to their Irish heritage. Now, Inish Turk Beg is a beautiful piece of Irish wild land where Nadim and the rest of the Inish Turk Beg citizens raise horses, distill their own special brand of whiskey in beautiful handblown glass bottles, create their own style of amazing Irish music and generally live their lives completely. As I enjoyed my steak & kidney pie and fillet of beef, the whiskey was passed around and enjoyed, perhaps a touch too much.. By the time dinner was over, and Richard Corrigan joined us from the kitchen an unknown number of champagne and wine bottles had already been emptied. By the time the restaurant was shut down, the whiskey bottle was dry too. A few years ago, I spent a very short weekend in Dublin and otherwise have never been on Irish soil. Next week, I’m headed to Cork for a few days (thank you Bank Holiday) and, while Cork and Inish Turk Beg are not comparable places, the food, the company, the whiskey, the music, and the spirit of Inish Turk Beg and Nadim’s passion have me really excited to at least see a taste of that in the Irish countryside. 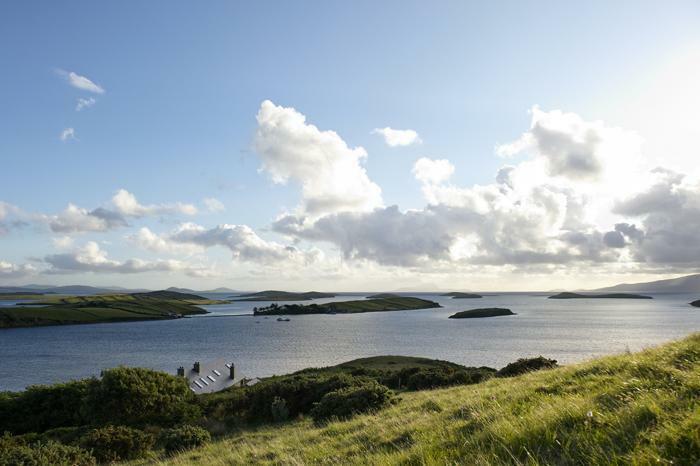 Hopefully it won’t be long until I can get myself a ‘lungful of life‘ on Inish Turk Beg itself, but meanwhile I’ll be sure to let you know how my own Irish experience goes next week.